Canon EOS 6D Mark II review by ePHOTOzine. They gave the EOS 6D Mark II a rating of 4.5/5 stars, which is more than you may expect reading the verdict. The Canon EOS 6D Mark II gives increased resolution compared to the 6D it replaces, with no reduction in noise performance. You also get great colour reproduction, and an easy-to-use menu system and controls. There’s also a welcome update to the number of AF points, although the area is very centrally located. The price compared to the original 6D is a little high. When the 6D was originally reviewed, it was one of the cheapest full-frame (FF) Digital SLRs available, and there were no full-frame mirrorless cameras (the Sony Alpha A7 wasn’t announced till October 2013). 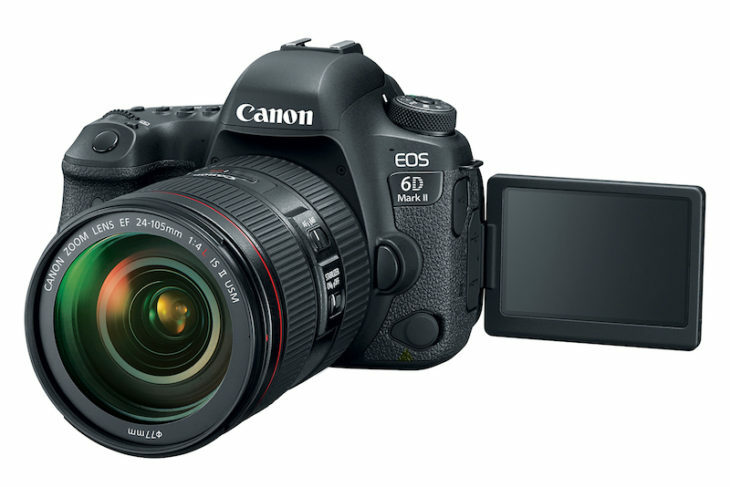 The 6D was also one of the most compact full-frame DSLRs available. So it had two massive selling points, price, and size. Now, the 6D Mark II no longer offers one of the cheapest FF DSLRs, and it’s no longer particularly small when compared to FF mirrorless cameras. However, it does offer excellent battery life, particularly when compared to mirrorless cameras on offer. If you are looking for the review’s sample photos, they are here.